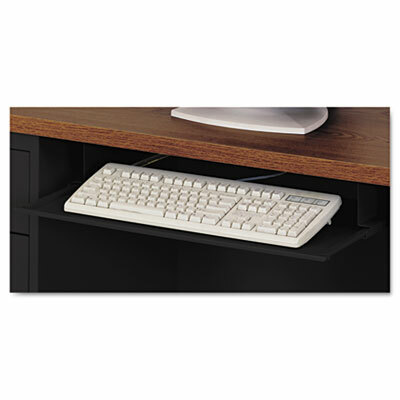 Reduce desktop clutter with this space-saving keyboard drawer. Durable steel construction with powder coated finish. Smooth operating friction slides. Keyboard Tray Dimensions (W x D) 23" x 14"